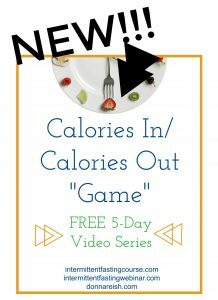 If you’ve been following my Grocery Fast, you know that I have been trying for eight weeks to not spend much money at the grocery store but instead use up my many food stores in my pantries, cupboards, freezers, and refrigerators. (And then I’m hoping to learn to shop and cook for two of us—wish me luck!) 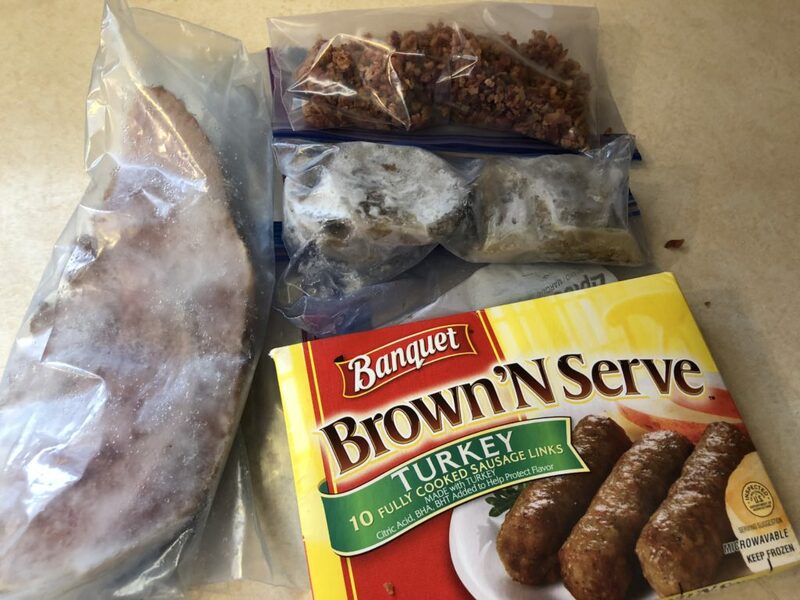 I found a few bags of “pork” (mostly turkey products) in my freezer that I couldn’t see using as main entrees since there were bits and pieces. But with my quest to really use up all of these “bits and pieces,” my mind went crazy trying to figure out how to make a meal (another benchmark is that I am making MEALS out of what I have, not just side dishes or “add ons” to meals) out of this combination. 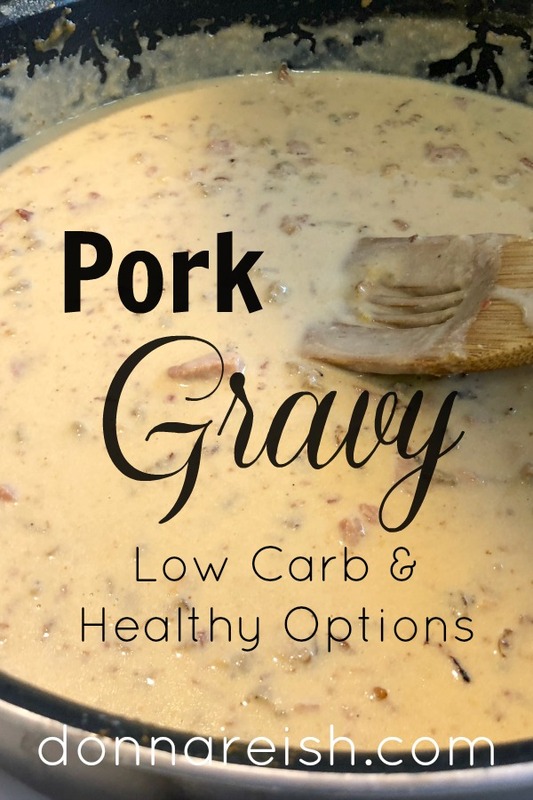 I had been so hungry for biscuits and gravy, but with our OMAD (One Meal a Day)/Daily Intermittent Fasting), I can’t fit all the meals in that I am hungry for. (IF problems!) So I set out to make “Mixed ‘Pork’ Gravy” with these little bags of frozen meats. I will give you the verdict before the instructions. I liked it a lot. Satisfied my “biscuits and gravy” craving (even though I had it over low carb toast), and I even enjoyed leftovers as a snack to open my eating window throughout the next week. 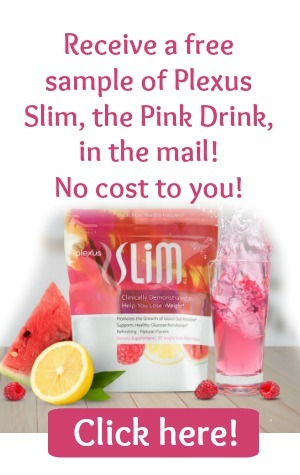 (It takes soooo long to use up food with only one meal a day and two people!) However, my husband didn’t like it very well. He has been getting pickier (again, probably the OMAD thing!) as he gets older because he used to like anything and everything. I also wanted to say, “There’s no reason not to like that….you order all of those meats on pizza and love it!” But I didn’t. So here are some tips before I loosely give you the “recipe” for the gravy. 1) I like a lot of meat in my gravy. However, this can be made with very little amounts of “bits and pieces” if you don’t mind being “lean” on the meats. Mine was loaded with meats as you can see in the skillet before I added the almond milk and cream. 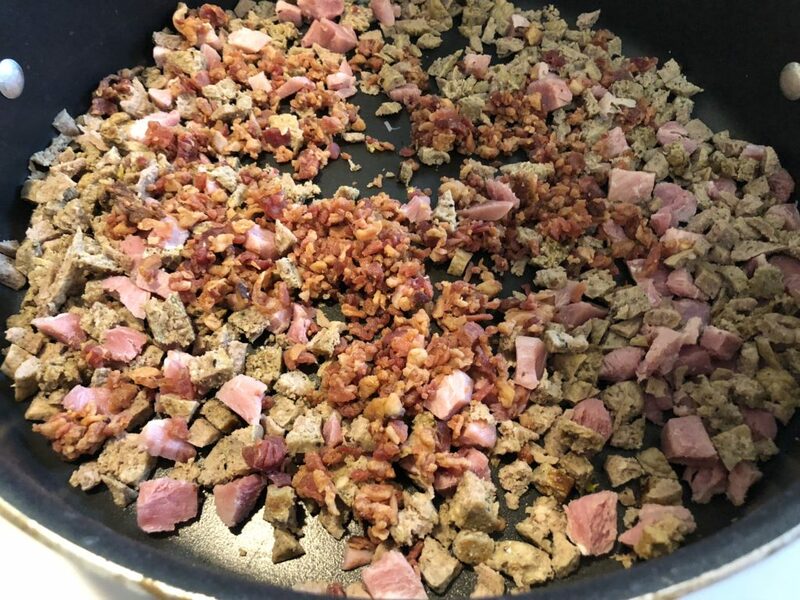 Here are my “bits and pieces” of “pork”—bacon bits, thick ham slice, turkey sausage links, and turkey sausage rounds. 2) Any milks or creams will do (as long as they are not sweet). The more “creamy” your milks (i.e. whipping cream rather than milk, etc. 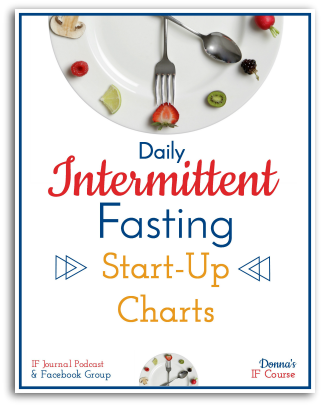 ), the more fattening your dish will be—but it will probably be yummier too! ? You will also need less thickener if you use cream. 4) All of my meats were precooked. If you are using any of these meats in their raw state, you could keep some of the grease in your pan, make a roux with sprouted white flour, and add even more flavor (and not have to thicken as much at the end). Since my meats were already cooked, I just defrosted them, added them to my skillet, and heated them before adding my liquids and seasoning. a. Adding cream cheese would add a boatload of calories and fat to the gravy before it got it to gravy consistency. If you are truly keto/LCHF and not concerned about fat and calories, you could start with some loose cream cheese then move on to something stronger. b. Xantham gum did not give it the texture of gravy. 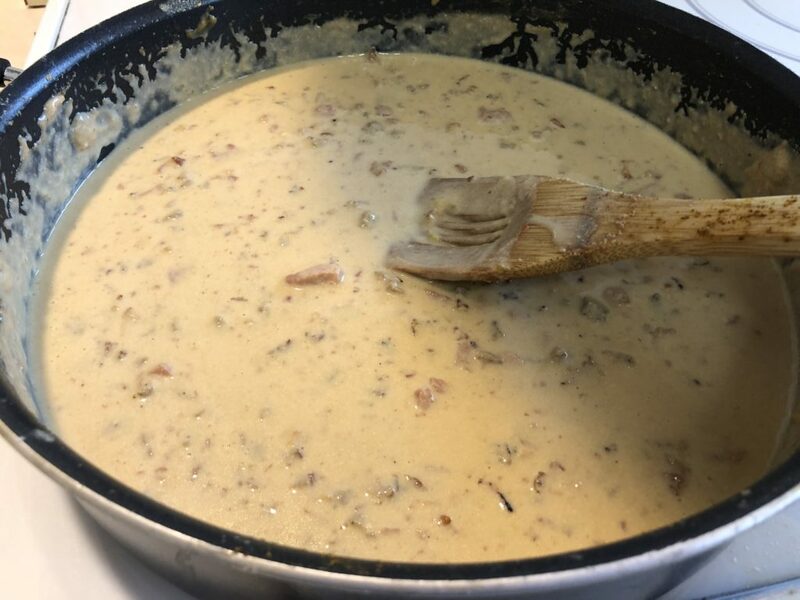 It helped thicken it some, but it definitely wasn’t “normal” sausage gravy thick. 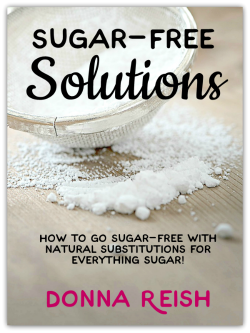 Go slowly on the xantham gum, following the instructions in my Thickening article. c. Corn starch has the next to the strongest thickening power out there (next to arrowroot). It simply doesn’t take very much to do the job—and would not add very many carbs per serving. I believe it makes the best gravy. 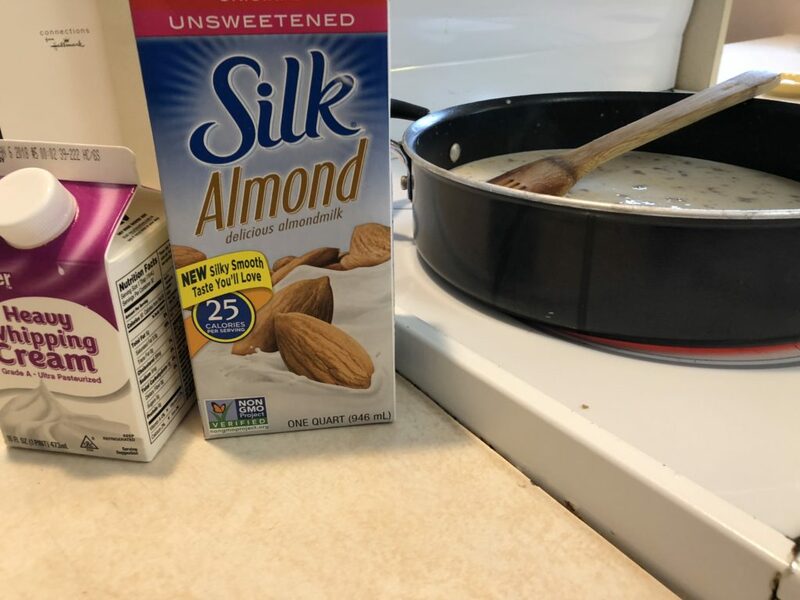 I used what I had on hand for liquids—a little whipping cream and unflavored, unsweetened almond milk. Cook meats if they are not precooked. If desired, use some grease from the meat to make a flour and grease roux before adding liquid. If not making roux, be sure meat is hot and add it to the pan. Pour in milks of your choice and heat thoroughly. I also add some base mixed in a little bit of the liquid, seasonings, etc. Heat all til boiling and thicken with corn starch and cold water whisked together or xantham gum (or other thickening choice).